It feels a little strange to write a post about an ice cream treat in November. It has been in the 50’s and 60’s where I live and that is not exactly ice cream weather. I think true ice cream lovers do not care about the temperature to enjoy a cold treat though. A hot beverage afterward or a blanket can help warm up. As the holidays approach your family might enjoy ice cream with dessert and I wanted to share a favorite in my household. 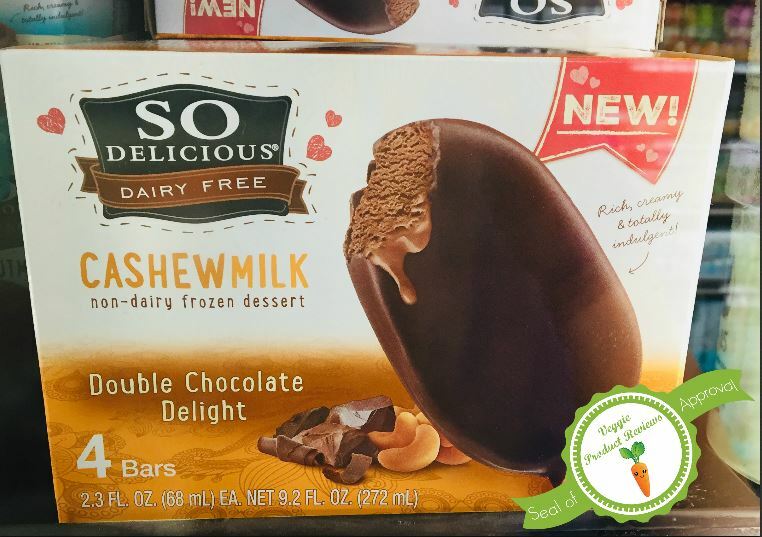 We find cashewmilk to be both rich and decadent and double chocolate bars do not disappoint. I tend to only buy them on sale as a treat, but they are a favorite! Delicious!! As I said above, this bar is both rich and decadent with the chocolate coating and chocolate ice cream inside. I find So Delicious cashewmilk to be very creamy and similar to what I remember of diary milk ice cream. These beauties are easy to find in regular and health food grocery stores near me. I trust this brand as I have been buying the products for years. They clearly label allergens and most, if not all, of their products are good gluten free. 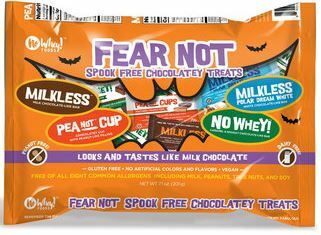 This product is free of dairy, gluten, peanut, and soy. They have several delicious flavors. Including one that has vegan caramel!!! That is also a favorite in our home. They are pricy, unless on sale. I have generally seen them for $5.99 for a box of 4. That is about $1.50 a bar. These are only a treat for us, not a staple. With only 4 in a box, they are expensive to share. With a family of three, only one of us can have two!